The Derby English Language Centre (DELC) offers you the opportunity to develop your English language skills at one of the UK’s top performing universities for fair access (HEPI Report, Benchmarking Widening Participation in Universities, April 2018). Whether you are thinking about going to university or have already started your studies with us, we will work closely with you to improve your academic writing and presentation skills, pronunciation and grammar, among many other things. We know that as you progress with us your needs will change so we offer a range of bespoke sessions and support from foundation and degree to masters level. If English isn't your first language you will need an English language qualification to study at Derby. At DELC we will assess your needs and recommend a course of action for you. International students will normally require a minimum IELTS (International English Language Testing System) level of 4.5 and a Tier 4 visa to study on one of our courses but please check the exact requirements on the relevant course page. Pre-sessional English courses will help you to achieve the entry level English requirements for your degree choice at the University of Derby. These courses are full time and last five, ten or fifteen weeks (depending on the level of English required for your chosen degree). Courses run twice a year in the summer and then in the autumn to prepare students for a September or January degree start. For more information including dates and costs, visit our pre-sessional English page. We can also develop pre-sessional courses specifically for your organisation so if you would like to discuss this with us, please contact Helen Boulton at H.Boulton@derby.ac.uk. If you are an international student with English language requirement of IELTS 4.5 you can apply for our International Foundation Programme which will give you a recognised English qualification so that you can progress to your chosen degree. Students study full-time (15 hours of class per week plus self-study) for two semesters – normally September to June. For more information please visit the International Foundation Programme course page. The Centre provides free, in-session, language classes to help you to do better with your studies. You can take them at any point during your time at Derby, whether you are studying on an undergraduate degree or a Masters course. These sessions will boost your English language skills and build your confidence. We can support you to give better presentations, improve your academic writing skills, help you to produce literature reviews or provide help with speaking and listening skills for your viva voce. Sessions are delivered at lunchtime and in the afternoons and the programme will adapt as the year progresses in response to the changing needs of students. For example, in the first term more general aspects of academic study are addressed, while in the summer term courses dealing specifically with writing theses and dissertations are held. These courses are available for home and international students. Derby’s position as a leading provider of international qualifications for TESOL teachers (Teaching English to Speakers of Other Languages) means that these qualifications are ideally placed to meet your professional teaching needs, no matter where you are in your teaching career. We offer opportunities at undergraduate degree and masters level. We can also develop, a TESOL course specifically for your organisation. The programme has been aligned to the theory underpinning the Certificate in Teaching English to Speakers of Other Languages. 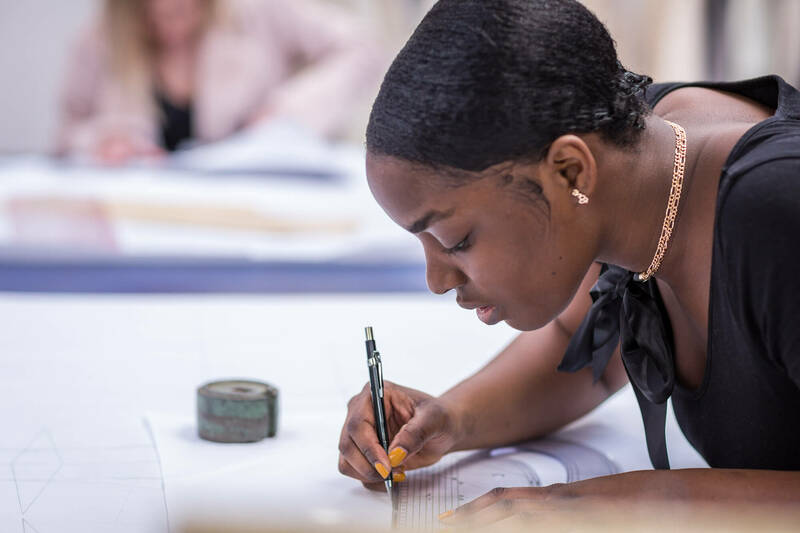 If you are an international student with English language score of UKVI IELTS 4.5 you can apply for our International Foundation Programme which will give you a recognised English qualification so that you can progress to your chosen degree. Students study full time (15 hours of class per week plus self-study) for two semesters – normally September to June. The programme starts on 17th September until April. The University offers a number of overseas summer schools to enable international university students to have a British university experience, prior to application. Students prepare socially, academically and linguistically for successful entry onto programmes at the University of Derby. For example the University has been successfully delivering English courses with British culture summer schools for students at Hubei University in central China for three years. If you are interested in developing a Summer School for your University then please contact Ula Wang. The UK Visas and Immigration department (UKVI) has made some changes around the English language tests that international students need to take before studying in the UK. It’s vital that you read and understand the information below. The new UKVI IELTS tests are Secure English Language Tests, approved by the UK Visas and Immigration department. The tests are taken at approved testing centres and they provide evidence of your English language level by giving you a score in reading, writing, listening and speaking. The full name of the test you need to take is IELTS Academic for UKVI. This new test came into effect on 6 April 2015 and has the same questions and content as a standard IELTS test. If you are an International student and want to study a pre-sessional programme at the University of Derby you will need to take an IELTS Academic for UKVI test. You can take the IELTS Academic for UKVI at an approved IELTS SELT Centre. Book online at IELTS.org and follow the instructions for ‘Applying for a UK Visa? Find a test'. We are an institutional member of BALEAP (formerly British Association of Lecturers in English for Academic Purposes).